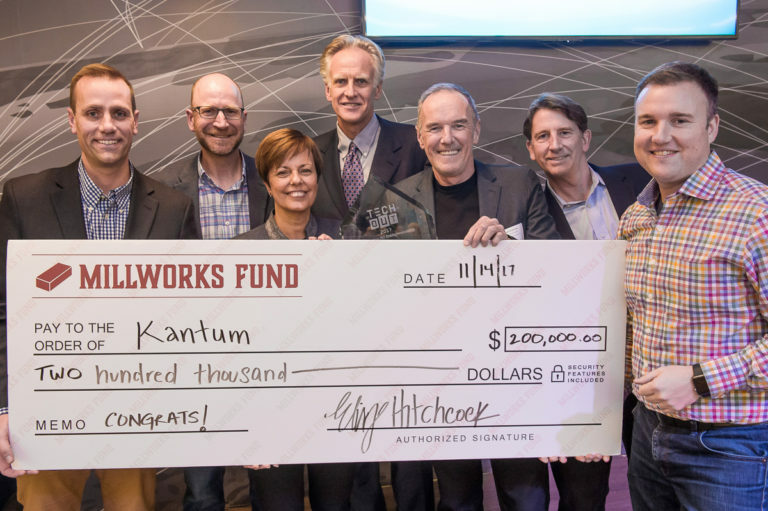 Kantum is developing an early diagnostic and specific therapy to help critical care clinicians prevent hundreds of thousands of annual deaths from Acute Kidney Injury (AKI). Along with my team at MGH/Harvard Medical School, I discovered that a molecule known as UDP-glucose (UDP-G), when present in elevated amounts in the urine, predicts the onset of AKI prior to initiation of inflammation-induced kidney injury. We also discovered at the same time how to stop the inflammation process. 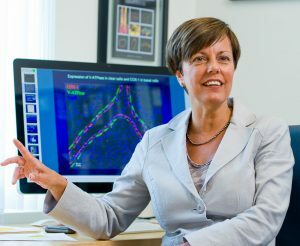 Based on these discoveries, Kantum Bio, is uniquely positioned to develop a novel diagnostic/therapeutic combination, or “theranostic”. The most significant resource at the foundation of the company is undoubtedly the science that supports both discoveries. I devoted my entire career to studying fundamental cellular mechanisms, particularly in the kidney. By studying more specifically the processes by which kidney cells maintain the acid-base balance of blood, my laboratory discovered the presence in the kidney of a gene closely associated with inflammatory processes. This discovery marks a turning point in the understanding of acute renal failure. Historically, ICU doctors have been puzzled by patients who have been successfully treated for a primary injury but suffer from complications a few days later. The Kantum team has uncovered the mechanism by which injured cells from traumas generate an inflammatory substance that will be decoded by the kidneys and trigger an uncontrolled inflammatory response. We have all heard about people suffering from complications while in the hospital but the reality is that very often, complications mean Acute Kidney Injury. There are two main types of barriers to overcome when you want to commercialize a biomedical discovery. You must first develop a business plan that takes into account the regulatory authorities. As researchers, we need to quickly learn how to navigate a system with which we are not necessarily familiar. And with two discoveries to commercialize, it is essentially twice as complex because the process of marketing a diagnostic test and the process of marketing a new drug are very different from each other. The second type of obstacle relates to financing. Today, investors have many short-term choices available to them and it is sometimes difficult to offer a business opportunity that will take several years to materialize. Of course, the multiples are often proportional to this expectation but it nevertheless remains that we must find investors who will have the patience to wait. Kantum Bio was fortunate to have outstanding partners like Broadview Ventures, who have committed to participate in the financing of the A Series in 2018. Our company has also benefited from the endorsement that the first place at the NH TechOut competition has given us. In addition, the Boston Biomedical Innovation Center has recognized the importance of our project by awarding my laboratory a significant grant to advance the development of our acute kidney injury therapy. The development and marketing of biomedical discoveries is of great complexity. During the early phase of Kantum Bio we had the privilege to meet with experts who were guiding us through the intricate aspects related to the start-up of a biotech company. They unanimously advised us to build a management team that has complementary skills: “It is important to hire people who know more than you in their own field”. This is why it is crucial to recognize what you do not know by looking for the necessary expertise. You should also consider external resources as an extension of your team. After I completed my PhD in Montreal, I came to Harvard Medical School to complete my post-doctoral training. Although Cambridge allowed for an easy commute with the busy life of a scientist, my family and I always enjoyed a lifestyle closer to nature. Soon after we moved to Boston, we started looking for a cabin in the New Hampshire’s lake region and found our dream house by Silver Lake. NH has a unique environment where I could resource myself while getting my best inspiration from sitting by the lake and relishing in the sunsets. My husband also being an entrepreneur, quickly learned that NH is very welcoming to small business, and decided to move his own company to the state. But most importantly, we found an authentic kindness and generosity in the people of NH. This became even more apparent when we started to expand our network through Kantum Bio. We met with amazing people who are truly committed to join us in our venture to save people’s lives through discoveries made in my laboratory. The support we received from NH has been a game changer for us. Starting Kantum Bio has been a great adventure that required a lot of patience and dedication. We have the chance to bring to completion two projects in parallel: a novel diagnostic that comes with its own treatment. 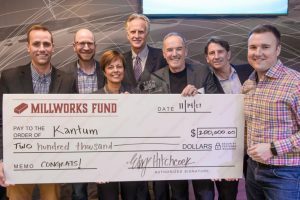 Kantum Bio’s business model is likely to help create well-paying jobs for the New Hampshire community, and to strengthen the state’s biotech presence. Beyond the commercial benefits that Kantum will bring to the region of NH, it will be very gratifying to have the chance to save lives and improve the quality of lives of millions of people in the US. We are optimistic about the future of Kantum Bio and we expect our diagnostic sales to start in 2019.